The parent who filed the claim reported his son contemplated suicide at one point. TUCSON, Ariz. — An update on the Sabino High School Baseball scandal that led to the team being stripped of its 2018 championship title -- the district found coaches misused funds and violated recruiting rules, but there are also details about bullying that the district has not released. The parent who filed the claim reported a coach repeatedly ridiculed his son to the point his son contemplated suicide. Through a public records request, KGUN9 received district documents on the findings, including the fifth allegation about the Sabino High School baseball program, and every word in that fifth complaint is redacted. Cavazos: “Where is that allegation?” Why was that not on the list? Trujillo wouldn't release the fifth allegation -- not even whether it was true -- because of student privacy rights, but the district already released specific student-related information regarding the other claims. Weeks later, we obtained the same report from another source, which the district had stated met student privacy rights. It contained the fifth allegation spelled out in more detail, in six pages. It reveals the district investigators found the parents' allegations of bullying to be true – sustained. The claim centers around a disparaging term -- "retard." The parents state their son is diagnosed with ADHD and hyperactivity, and the coaching staff repeatedly referred to him as "retard." The player reported what started off as a joke turned into a personal attack for nearly two years. One volunteer assistant coach, Garrett Gabusi, told the district he repeatedly "called the player 'retard,'" and "didn't believe it was detrimental." He stated it was "a term of endearment" and "used as a motivational tool," saying the player would "embrace it." The document states Gabusi used the slur so often that head coach Mark Chandler referred to the slur as the player's "nickname." Chandler told the investigators he "felt the player 'relished' being called a 'retard,'" even though he "personally found the term offensive." Chandler stated "he does not believe the term 'retard' is as serious as a racial slur." The parent reported the "verbal harassment continued and caused his son to become demoralized and depressed." His son told the district he was "scared to talk to any of the coaches," saying he was "afraid that they would ridicule or further target him." The name calling "became so bad in [his] eyes that he began to contemplate suicide." Texts show the parent informed the school's athletic director that he took his son to a mental health facility for counseling. He wrote -- "Apparently, Coach Gabusi has been calling him a 'retard' in the dugout and Chandler is allowing it." The district found the parents claims to be true. The investigators not only determined Gabusi's actions violated district policy, Chandler never documented the violation by the assistant coach or administered discipline and the vice principal failed to follow up on the outcome. KGUN9 asked the superintendent for interviews with him, Chandler, and Gabusi following district protocol. He declined stating the district considers the Sabino investigation closed. 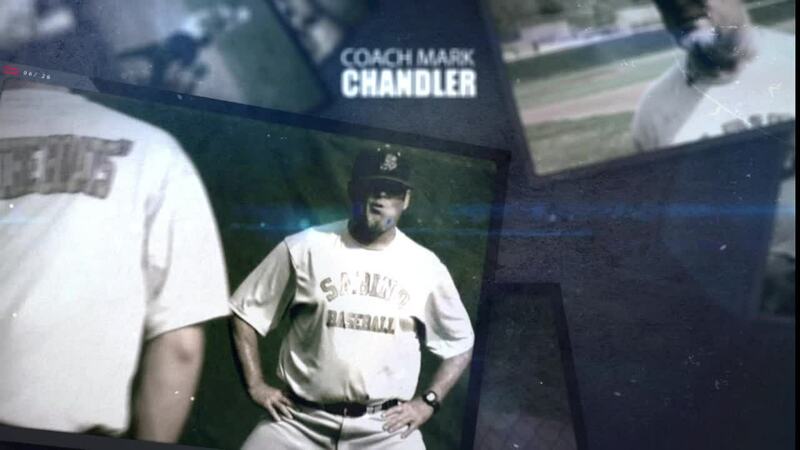 Before the AIA ruling on the recruiting and misuse of funds allegations, Chandler told KGUN9 he would consider doing an on-camera interview, but he didn't answer our calls following the ruling.